Peggy was spotted by a kindly member of the community in an adjacent garden. 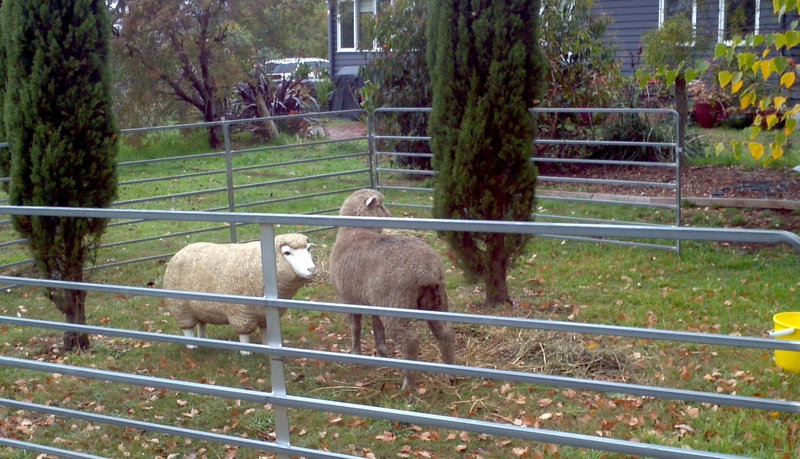 Neighbours were canvassed but no one was missing a sheep. Peggy had what appeared to be an injured leg and some injuries to her face. 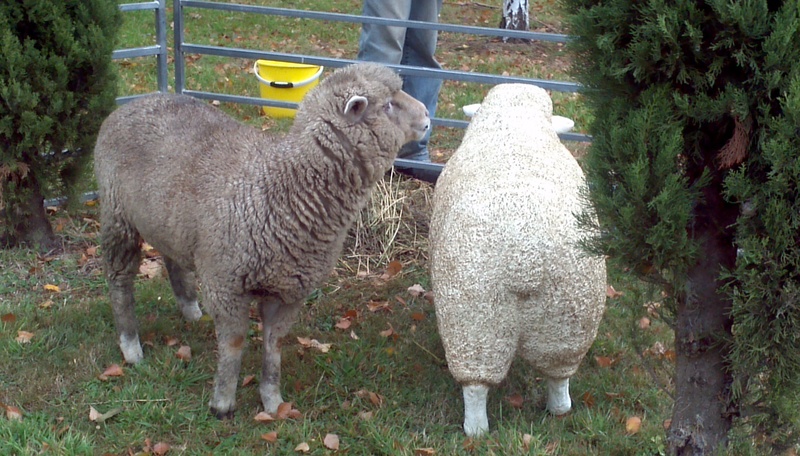 Despite the garden being unfenced Peggy stayed put, and the reason…she had found a friendly face. 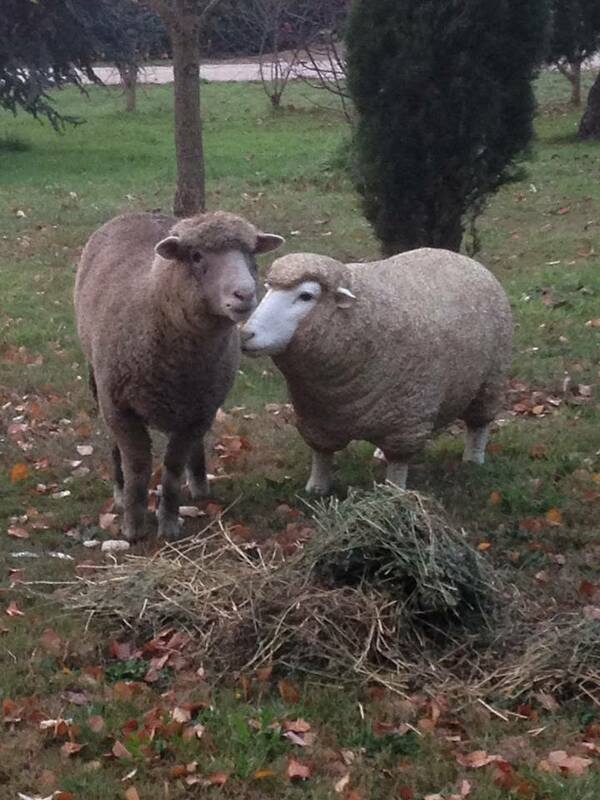 We found this so poignant…..lost and lonely…Peggy made ‘friends’ with a familiar figure. 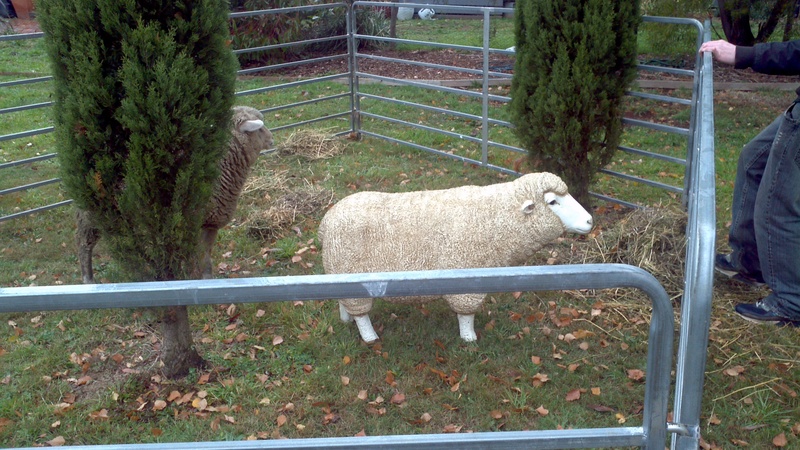 Apparently she even slept snuggled up to her friend, a fibreglass sheep. With no one coming forward to claim Peggy, we offered to provide her sanctuary and treatment for her injuries. Using our portable yards, the HP team quietly assembled an open ended corral around the fibreglass friend. Then standing with our eyes lowered we waited, and in just a few minutes Peggy ran to join her friend in the yard and we secured her. Gently we carried her to the horse float. We felt sad at leaving her ‘friend’ and comfort behind but joyous that as soon as possible Peggy would re reunited with real sheep. Peggy was transported directly to a vet who diagnosed injuries to her eye and mouth from a likely dog attack, as well as a badly infected front foot. Peggy is having treatment for her eye and foot and is snug and dry in the horse float. Once her hoof has healed she will be transferred to the stables and then to our sheep yards. 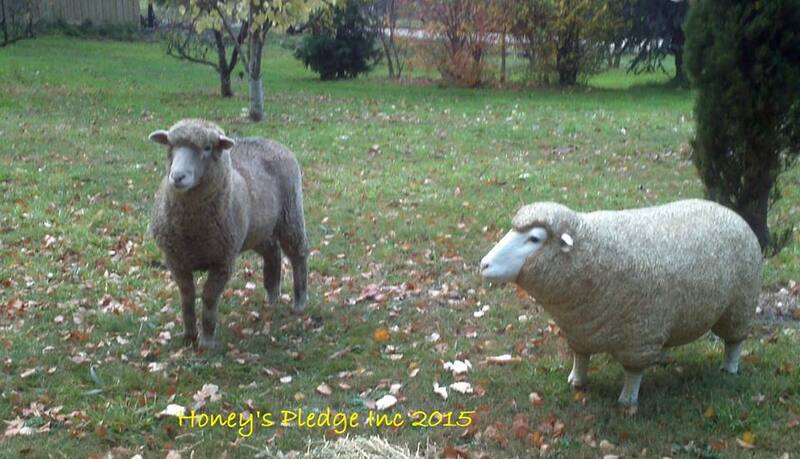 This entry was posted in Sheep and tagged animal rescue, friends, sheep. Bookmark the permalink.